We are pleased to release our latest animated prop kit, the Animated Ground Breaker! It is an updated design of the original Animated Ground Breaker shown on our YouTube channel. We've had a lot of requests for a kit and it is finally here! Like all of our kits, we've taken the hassle and guesswork out of building animated props. With minimal care, this kit should last you a very long time. Should it ever need repair, most of the parts can be sourced locally. 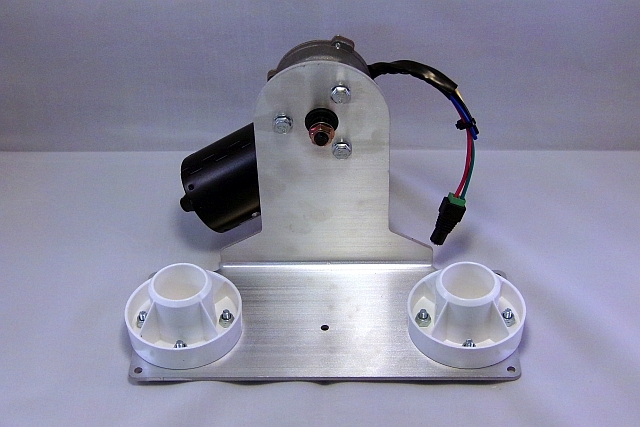 We will also continue to provide support and parts for any kit that we sell. 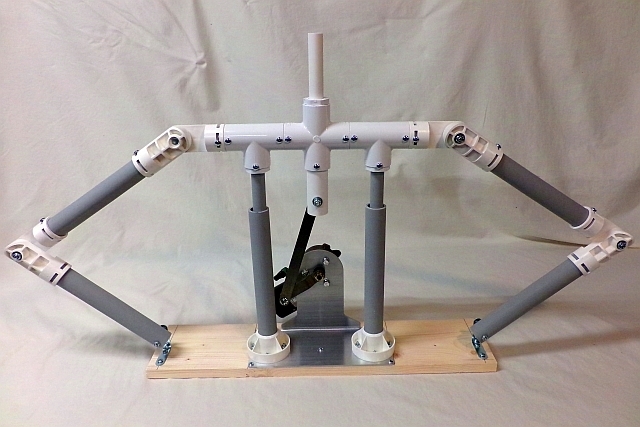 Assembled kit is 21 inches tall (top of the neck pipe) and 38 inches from elbow to elbow at the lowest position. Assembled kit is 27 inches tall (top of the neck pipe) and 31 inches from elbow to elbow at the highest position. Great product with easy to follow instructions. The prop functions as advertised. I am very happy with the overall experience with Spider Hill. Q: can you buy the items separately or do you have to buy the kit? A: Hello, the main difference between any of our basic and complete kits is whether or not the PVC pipe is provided. In the basic kits you provide your own pipe and cut it yourself. This gives the DIY builders a chance to save a few dollars on the prop or build it to a custom size for their needs. 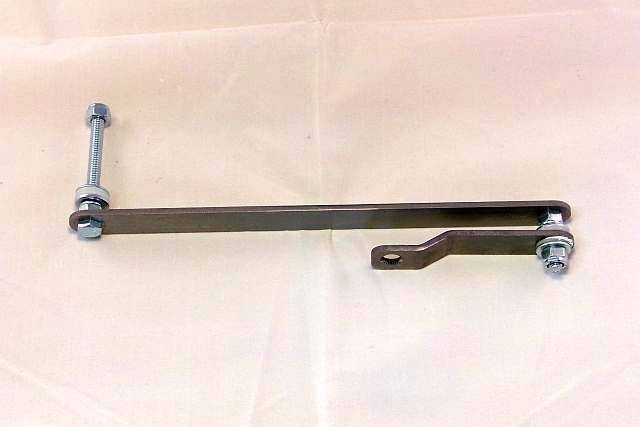 The complete prop comes with all of the pipe cut and marked to build the prop as shown on the site. Otherwise the kits are the same. Q: Does the GB complete kit include the Zombie and clothes? A: No, all of our complete kits refer to the hardware/pipe included. In our basic kits you supply and cut your pipe to length, in the complete kits we provide all of the pipe needed that will be cut to length and marked. 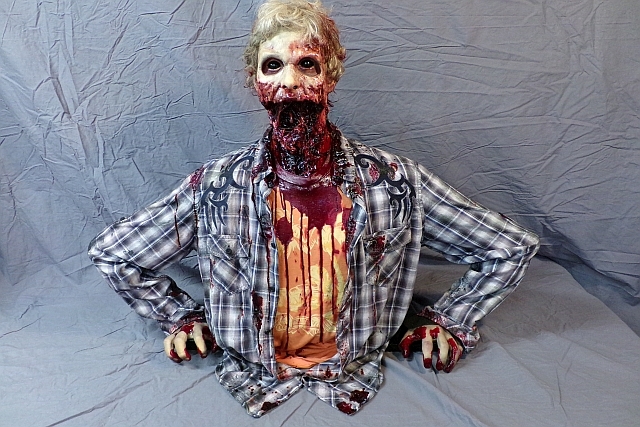 All of our kits would require you to provide the clothing, heads, and heads to finish the prop.